A recent study out of the University of Buffalo shows that not only is binge drinking bad for your health when you’re in college, it also causes you to develop some pretty bad eating habits as an adult. As the writer of this article points out, kids aren’t drinking kale smoothies at 4 a.m. after a night of drinking. This should come as a surprise to virtually nobody who has ever gotten drunk in his or her life, of course. We typically associate munchies and other food cravings with weed; and yes, we’ll eat carrots in a pinch, but ideally could we follow Harold and Kumar to White Castle? For alcohol, too, though, greasy or carb-loaded foods in the wee hours of the night or for breakfast the next day tend to rule the roost. Some might go as far as to say these foods help with a hangover, but this study factors in the dietary side of college binge drinking: how the calorie count of beer adds up, the unhealthy habit of eating right before passing out for the night, and, of course, opting for more greasy, salty foods instead of healthy snacks, contributing to an obesity epidemic nationwide. I, for one, had the opposite experience. I stayed a size zero with curves throughout college, and I gained weight after getting sober. In fact, I gained it, and then some, and I still have not been able to lose it no matter how hard I’ve tried. However, it isn’t because I had either healthy or unhealthy eating habits in college, or whether they were linked to my drinking or not. Of all the anxieties I had growing up and in my early adult life, weight wasn’t one of them, fortunately. I waged many inner wars, but food was never an adversary. Our relationship simply existed. When I was still drinking, up until November of 2011, I weighed about 105 pounds at five feet tall. Fast forward about seven years, and you can probably add the weight of a 6-year-old child to my 22-year-old weight (but don’t quote me on that, because I’ve never personally weighed a 6-year-old child). Back in college, when I had two or three cocktails at brunch or in the evening at dinner, I would actually often stop eating altogether and leave my entree untouched because I felt so full, and often, queasy. So, I was eating less. And I still remember with a shudder all of those mornings that came after nights of heavy drinking and dancing when I was so sick to my stomach for hours with a killer headache that I would throw up everything inside me, and then any water or crackers I tried to add to the mix. Sometimes it lasted an entire day. Sixteen whole hours. I couldn’t eat a thing, forget a breakfast sandwich. Even if I did switch to weed for a night or three and get the munchies (eating a bowl of microwave popcorn or a 4-piece chicken nuggets from McDonalds, but never a mountain of ice cream), somehow, my body balanced it all out. Likely, because I also still smoked cigarettes, and because, again, I was 22. After getting sober and giving up cigarettes along with the alcohol – and being surrounded by cupcakes and cookies at meetings, in diners, and at parties (or because I simply bought them and surrounded myself with them personally in a circle of love) – I tacked on about another 10 pounds. My mother hounded me about it, (thanks mom, would you prefer waking up in the middle of the night to 19-year-old me falling on my face near the bathroom again?) but outside of having to listen to that while I still lived at home, I was content. 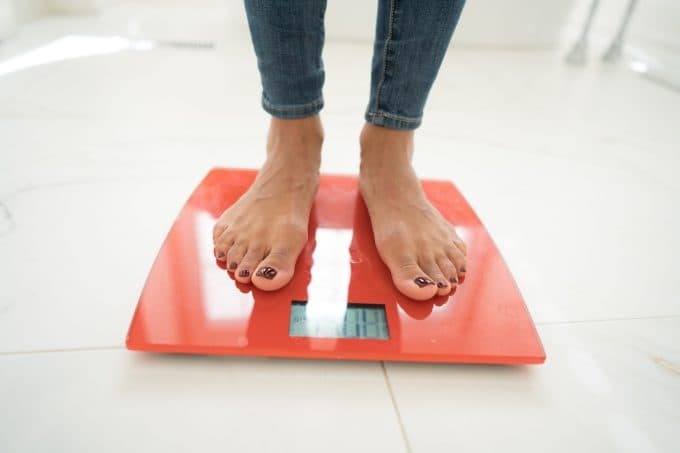 I strongly felt it was better to be healthy and happy and go up a dress size, and when I had those cookies and cakes, I had what you’d consider a single serving. No binging here. Fortunately, feeling good about myself as a sober woman was, and still is not, about how I looked. True, that was my only source of confidence until I got sober, but after, I started walking the dog in my pajamas and going out makeup free without giving it another thought. I was living a life where I got to keep my friends, did great work, people actually liked me and stuck around, and I did my best while battling chronic migraines, PMDD, and a recent diagnosis of a condition called Neck Dystonia, all of which impacted my ability to exercise. Still, as time went on, despite getting my exercise in at the gym multiple times a week, eating pretty balanced meals and yes, enjoying my food too, my clothing size continued to go up. I didn’t care. I really didn’t. I had heard enough bad things about diets being unsustainable and miserable to know a crash diet, a cleanse, and totally eliminating certain foods wouldn’t be sustainable for me. I didn’t want to trade my serenity for being happy. Besides, depriving myself of something when I already didn’t do many things other people did – read: drinking – seemed unnecessary. I didn’t drink sugary drinks, I drank lots of water, I took vitamins, and often I’d have unsweetened iced tea. I ate pretty balanced snacks. Yet as I turned 25, 26, 27, my weight still climbed a few pounds every year. I was converting these calories into muscle weight, which ways more than fat,, but I still had to keep buying new clothes. During that time, I have had not one, but three very untactful neighbors in my apartment building ask me if I’m pregnant. While you probably can’t see it on me unless you look very closely or compare photos over the past decade, it’s there in my ever-changing waist size. For some reason, when it goes, it all goes to the middle. So back to this University of Buffalo study: it concludes that there is a clear need for Universities to promote healthy eating at all times. Well, yeah, sure. That’s a fantastic idea, especially if that leads to healthier habits as the students continue on their own as adults eating their way through the world. 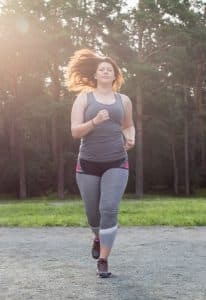 But for those of us dealing with not just sobriety, which is an epic accomplishment, but other issues, too, the pressure to lose weight, monitor our weight and what we eat, exercise enough, etc., can be a lot. It’s different for us. It just is, and we’re not, by nature, creatures of moderation. Jessica Kruger, the lead author on the paper and one of the researchers behind the study, pointed out that after drinking alcohol, the amount of blood glucose in the body can rise and fall which stimulates the brain to feel hungry. Well, I’m hungrier now than I ever was when I was still drinking back in college. Imagine if they’d taught me, back then, about the way my body and metabolism would change if I ever stopped drinking. Now there’s a novel thought. Now, I’m constantly trying to make healthy choices and find new ways to exercise one day at a time. I don’t want to accidentally find that I’ve tied my self-worth to my appearance. Because really, I just want my clothes to freaking fit so I can go about my day. I have tried trainers and nutritionists before, and I will keep trying other ways as I forge onward towards the big 3-0. I’ll find a new program, try a new app, and keep trying and trying and trying until I find something that works, because truly, I am dying to be schooled and eager to do my homework.